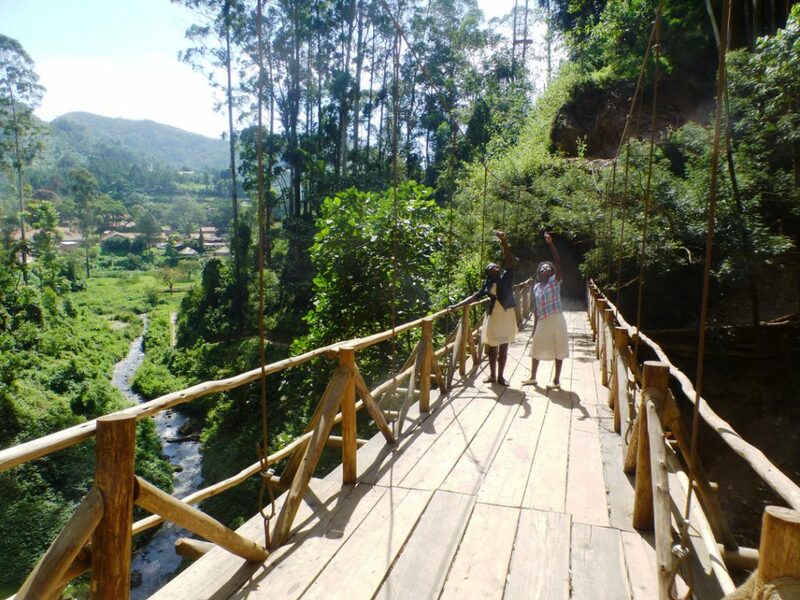 Enjoying the spectacular view from the Kisiizi Falls Suspension Bridge on a sunny day is exhilarating! 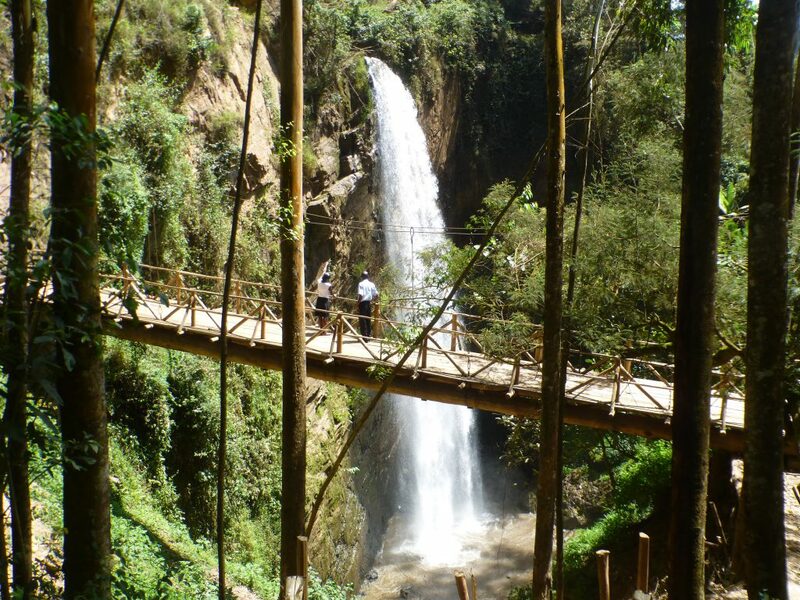 The bridge has two large trees across a gorge with a suspension wire system to give support and safety. 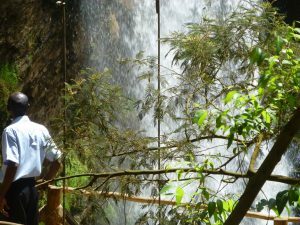 Visitors gain views of the falls along the back wall where the unusual chestnut-winged starlings nest on the cliff edge behind the cascade. 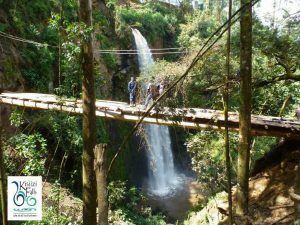 Looking up the inevitable “Wow!” is heard as visitors realise the wire high above is the final stage of the Kisiizi Falls SkyTrail zipline. 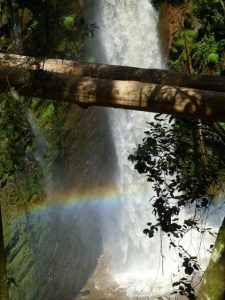 Visitors may climb up the steps of the gorge valley and join the trail to the Top-of-the-Falls viewpoint or go to the first two stages of the SkyTrail. 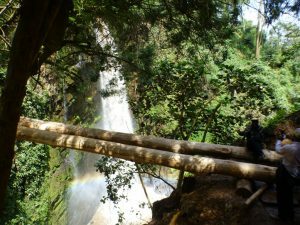 Moving down from the bridge brings you to the Cave and the classic viewpoint of the Falls and then to a link path up to the Monument.